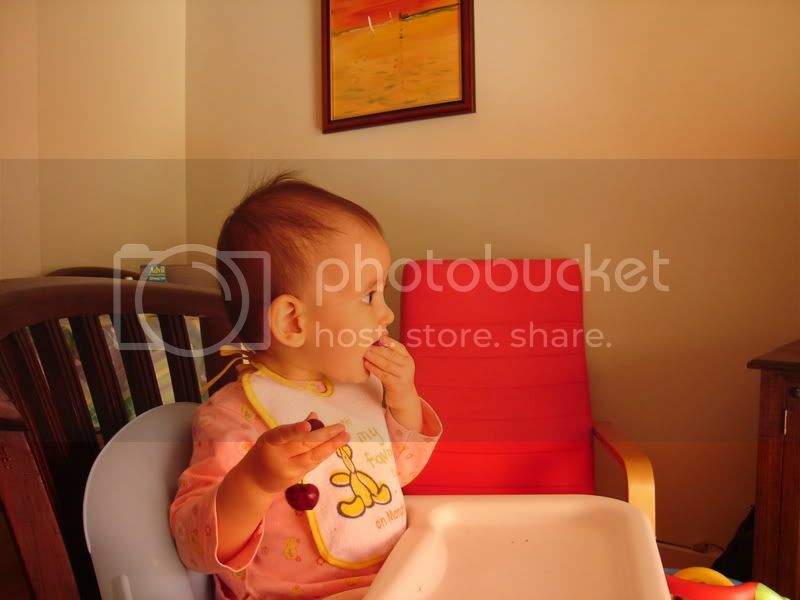 Across 2 Cultures - Cross-Culture Parenting and Lifestyle Blog: First taste of cherries. It's cherry season in France right now. I LOVE LOVE LOVE cherries. I could eat a kilo of cherries all by myself anytime. 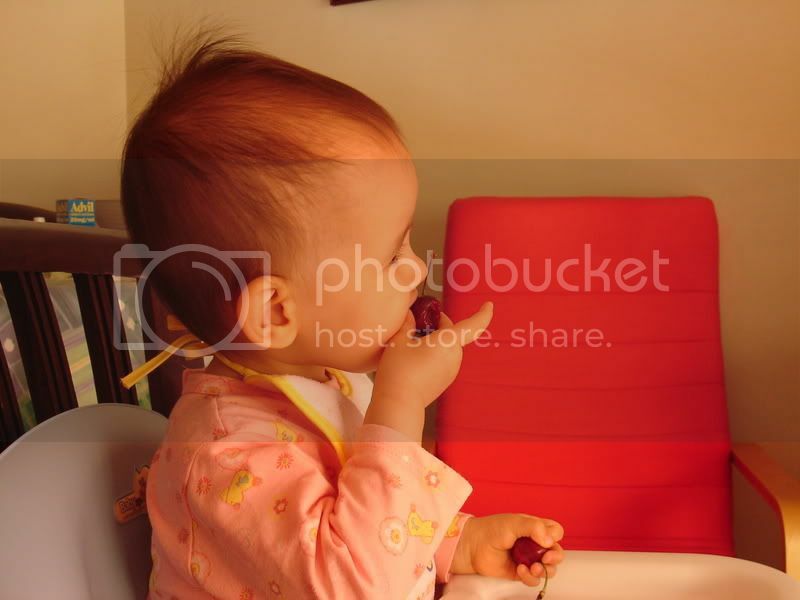 So, as I was feeding Laetitia her breakfast this morning, I was enjoying my cherries at the same time. Yes, I was having cherries for breakfast. 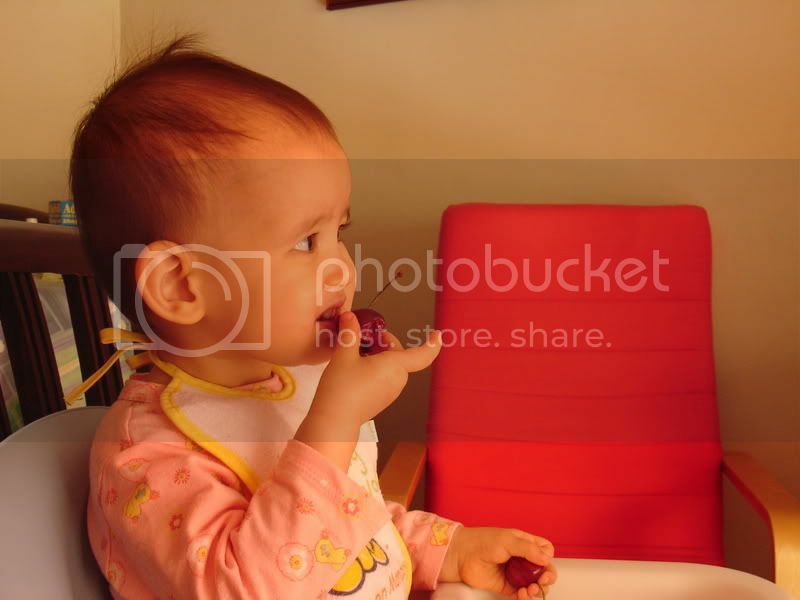 My little pie was eyeing my lovely deep red fruit and I decided to give her some to try when she was done with her food (milk and weetabix). I think she likes them. The only problem is, she makes a mess at the same time. There was bits and juice all over the place. 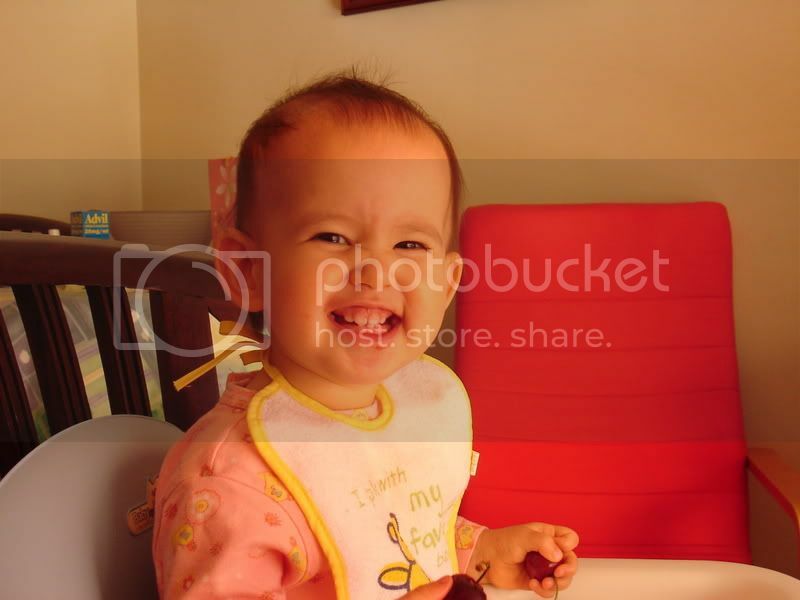 Hmm..... what is this taste? I am not sure if I like it. Let me take another bite of this strange fruit.